Situated in a small village within the Chew Valley this property is surrounded by excellent walks and cycle routes. To the south the Mendip Hills is an Area of Outstanding Natural Beauty and boasts a wide array of flora and fauna to be discovered. A short drive will bring you to the historic spa city of Bath which is famous for its beautiful Georgian architecture Roman Baths and boutique shops restaurants and cafes. Closer to home the local village boasts two pubs several shop a Post Office tennis club and lake. 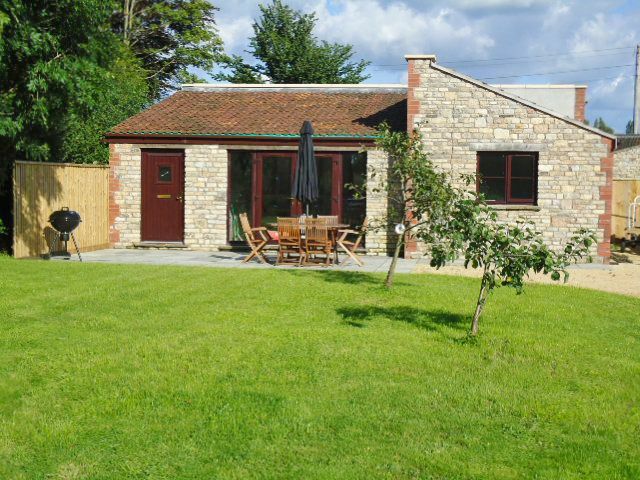 Arranged on one level the accommodation is clean modern and bright with beautiful countryside views. In one corner of the open-plan accommodation a compact yet well-equipped kitchen contains an electric oven and gas hob fridge/freezer washing machine and microwave. Dine at the table nearby before taking to the cosy lounge area to relax in front of the TV/DVD or admire the view through the French doors beyond. This property has two bedrooms one king-size and one twin with TV/DVD. The bedrooms are clean and bright and share a shower room. Outside a large enclosed garden with seating and BBQ is a peaceful spot for enjoying al fresco meals with a view.